We provide many opportunities to streamline your pathway to market. We provide the core competency of FDA current good manufacturing practices and cGMP clinical trial requirements. Outsourcing to a contract manufacturing organization such as McGuff Pharmaceuticals will provide many opportunities to streamline your pathway to market. McGuff Pharmaceuticals is dedicated to assist clinical trial investigators, directors and sponsors successfully meet their clinical trial objectives. Welcome to McGuff Pharmaceuticals, Inc.
McGuff Pharmaceuticals, Inc. is a Food and Drug Administration inspected sterile liquid fill manufacturer that maintains a tradition of quality and core competency in current Good Manufacturing Practices (cGMP), representing a unique combination for any pharmaceutical manufacturer. McGuff Pharmaceuticals is also uniquely positioned to assist clinical investigators perform phase I, II and III clinical trials. We employ Pharmacists, Engineers, Quality Control, Regulatory Affairs and other personnel that have experience manufacturing, labeling, and distributing clinical trial materials. Our staff provides customers with a wide variety of additional knowledge incorporating current experiences working in hospitals, community pharmacy settings, chemical industry, and commercial pharmaceutical manufacturing. Additionally, we are an experienced pharmaceutical contract manufacturer. Contract manufacturing offers the opportunity for sponsor companies to focus on their core strengths while leveraging our cGMP compliant facilities and regulatory expertise. We offer a defined approach to program management, that offers a variety of technical services to our customers including R&D, product development, product stability, product formulation, and regulatory compliance. 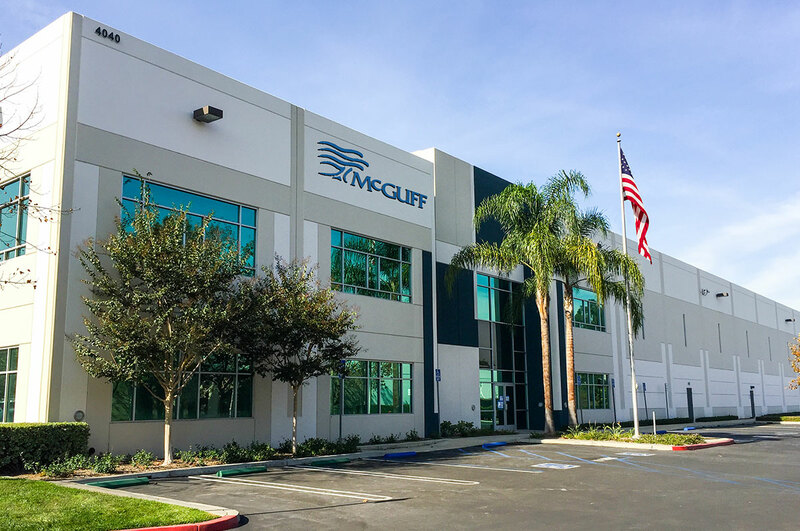 McGuff Pharmaceuticals is uniquely organized for our customers with cGMP pharmaceutical contract manufacturing facilities, innovative leadership and a corporate-wide commitment to the highest standards of quality and customer service. We should be your choice as a preferred partner in providing quality, cost-effective health care solutions for your NDA clinical trial and pharmaceutical contract manufacturing needs. Thank you very much. We have received your submission. We will get back to you as soon as possible! Ronald M. McGuff, President, McGuff Pharmaceuticals, Inc. announced the company has completed design and has begun construction of a new 86,000 sq. ft. state-of-the-art, aseptic fill, pharmaceutical manufacturing facility in Santa Ana, California. Mr. McGuff has indicated, "This facility represents our long term commitment to meet our customer’s need for a diverse number of high quality injectable drug products at an affordable price."